This book was written during 2009. 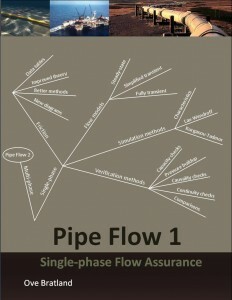 It is the final in a series of two, the first of which was titled Pipe Flow 1, Single-phase Flow Assurance. Flow assurance – ensuring the fluid flows as intended in a pipe or a well – relies on well-established sciences like fluid mechanics, thermodynamics, mechanical engineering, chemical engineering, discrete mathematics, automation, and computer science. But even though the underlying sciences themselves are well established, flow assurance is developing very rapidly, and writing about it is a bit like shooting at a moving target. During the work with this book it has at times felt like keeping updated on all the latest developments took longer than evaluating and reporting them! Flow assurance is surely progressing faster than the average applied engineering discipline. It is easy to make a long list of important recent developments in each of the previously mentioned subject areas, even if only those which have had direct consequences to the flow assurance field are included. In mathematics, for instance, numerical methods for solving hyperbolic equations develop constantly, and the improvements generally allow us to make faster, more robust and standardized solutions. Also in the field of mathematics, our understanding of whether the conservation equations are hyperbolic or not in all situations is currently far from perfect, and new articles regarding that are published regularly. Getting it wrong can lead to the simulations crashing or results becoming inaccurate or outright misleading. The list of exciting challenges continues into fluid mechanics, chemical engineering, and the other fields. This book intends building on the most important of these developments while using the latest in contemporary science. I have included a Suggested Reading List at the end of the book, but it contains no books covering flow assurance as a separate discipline. To my knowledge this book is presently the only one intending to cover flow assurance for both two-phase, three-phase, and (very briefly) four-phase flow, including some of the chemical considerations involved. 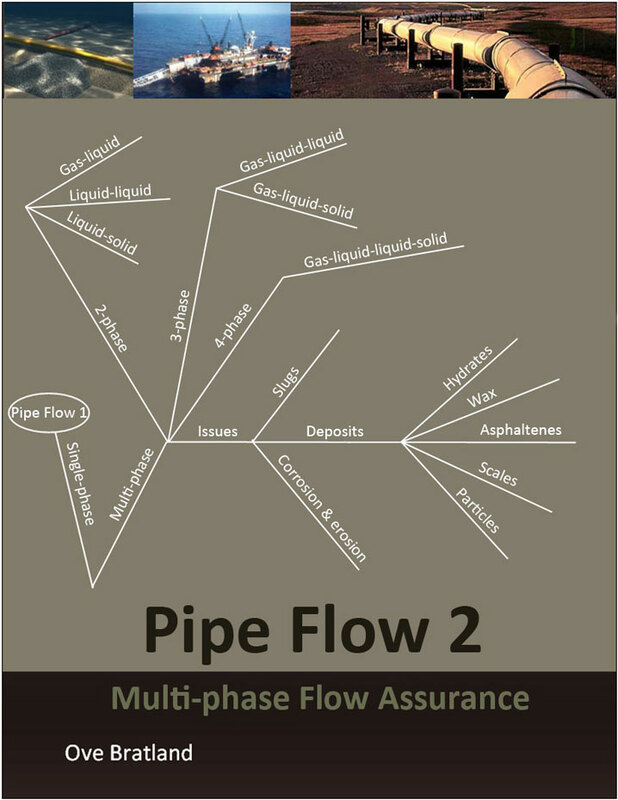 There are some good general books on multi-phase flow, but flow assurance is so complex it requires taking advantage of all reasonable simplifications specific to our system, and often that includes simplifications relying on the relatively one-dimensional nature of pipe flow. We deal primarily with circular or annular cross-sections, and that has important implications for how best to simplify. The most common models are one-dimensional or quasi two-dimensional, and the flow regimes they can deal with are reduced to a finite number of pre-defined types. More advanced and also more general 2D or 3D models may play an important role in the future, but they are currently restricted to research work or studies of short sections of the flow-path. The same can be said about the relevant fluids’ chemical properties: The goal determines the simplifications we employ. Researchers most interested in fluid mechanics usually prefer very simplified chemical models. That is a natural choice if you desire isolating some detail dealing with turbulence, say, and focus the investigation accordingly. But any useful model for applied engineering calculations must include far from perfect, but still quite rigorous chemical property data and correlations. The phenomena we deal with are highly characteristic of petroleum fluids flowing in pipes or wells, and the models have to be designed accordingly. General multi-phase flow theory can currently not replicate turbulence accurately enough for all relevant purposes. As an example, no existing model manages to produce realistic friction results without involving empirical factors, particularly not for such a large system as a flowline. Similar problems occur when trying to replicate how the flow affects hydrate formation, wax buildup or corrosion – the flow models are of crucial importance, but they are not good enough to do away with various empirical factors. Chemical models are in some ways similar, they are only adequate for our purpose if seen in the context of the actual flow. Inaccuracies both in the fluid samples and the models for predicting properties based on those samples are typically of significant magnitude, the how best to deal with them depends on how they affect the overall flow assurance aspect. Again, flow assurance’s multidisciplinary nature sets many of the conditions even for those who choose to narrow their efforts to a single of the relevant disciplines. Numerous research articles dealing with specific flow assurance problems have been published, but it is hard to learn a subject from articles alone. Mathematicians use slightly different notations than mechanical engineers, and chemists are somewhat different from both groups. Binding the different sciences together is in many ways a science in itself, and that has been one of the motivating factors for writing this book. At the time of this publication, an internet search for ‘flow assurance’ generates an amazing number of responses, and a very significant amount of them turns out to be companies interested in employing flow assurance engineers. The petroleum industry in general faces a distorted age pyramid, with a large percentage of the most skilled professionals reaching retirement age within the next decade. It appears the industry has an image problem which makes it less attractive to young educated people than ‘greener’ industries, at least is some countries. The psychology involved is understandable, but the logic less so. Having travelled quite a lot and observed the oil and gas industry at work in many countries, maybe most illustratively during a three year stay in Azerbaijan, I have become convinced that sound management and proper technology can make a huge difference regarding environmental impact. Knowledge is the key to good energy management in the petroleum industry just as in other industries, and whether we like it or not, those working in the middle of it are best positioned to make a positive difference. One thing to keep in mind for anyone who is in the process of making a career choice is that the shortage of skilled engineers in the flow assurance field creates very favorable conditions for those who enter it. In addition, flow assurance offers unique possibilities for value creation while at the same time its complexity and fast development eliminates any risk of stagnation in the foreseeable future. That is undoubtedly a very motivating combination few other fields can match. 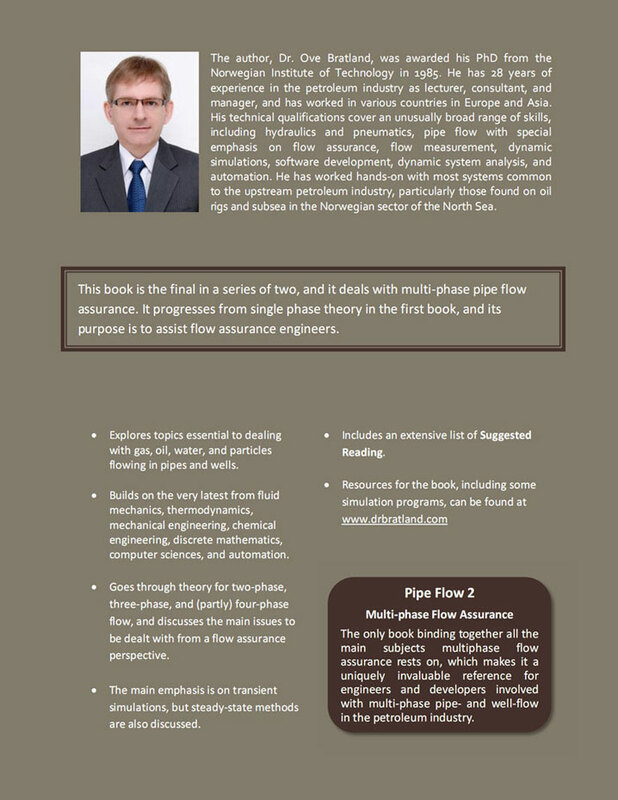 In an effort to lure more young professionals into the field of flow assurance, I have decided to make the digital version of both books available for free at my internet site drbratland.com. As for the first book, I am thankful for any comments or corrections the reader might contribute, they can be directed to contact@drbratland.com. Some misprints have been corrected and a few more examples included. I have also decided to loosen the restrictions on commercial use of the free version. It is now allowed, but distribution to others requires written permission. For the sake of keeping track of where and how widely the books are being used, I expect each user to download his or her own free copy.